While 2017 was the year when smartphone manufacturers embraced bezel-less displays, it is expected that 2018 could be the year when smartphones with foldable displays will reach the mainstream market. And when speaking of foldable displays, Samsung can’t be far away from the talk. Samsung isn’t the only OEM eyeing for this technology. ZTE has already launched Axon M with a foldable display, and in fact, even LG has been doing some experiments in this department. And in order to blow the doors off of the competition, Samsung appears to be experimenting new features get an edge over the rivals. 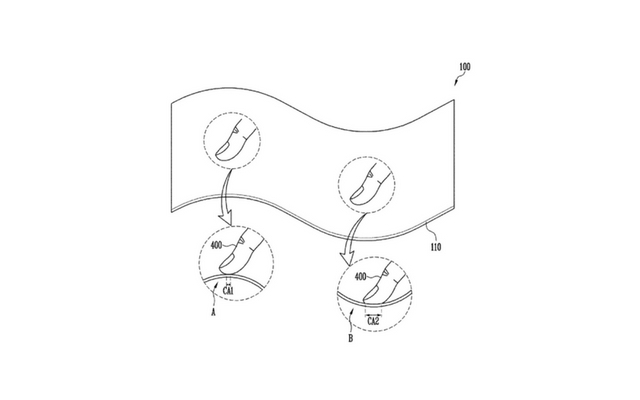 If Samsung’s latest patent is to be believed, it looks like the foldable smartphone will wield some sort of a pressure-sensitive technology similar to Apple’s 3D Touch. To some degree, Samsung has already implemented a pressure-sensitive technology on last year’s flagships, i.e., Galaxy S8/S8 Plus. However, it is expected to play a bigger role in this case. 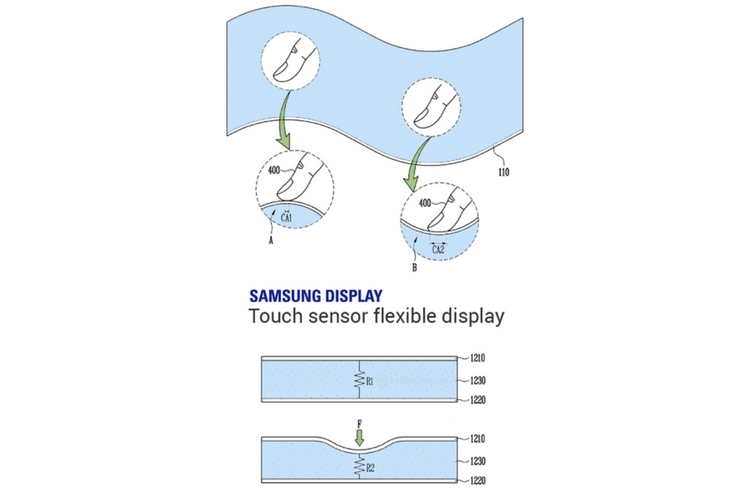 Adding pressure-sensitive sensors under a flat display is no small feat. So implementing the same technology in a bendable screen is going to be that much more difficult. Having said that, the upcoming Galaxy S9 smartphone range is also likely to have a pressure-sensitive display. But as with all the patents, it’s hard to confirm if it will actually translate into a working device. Even then, they’re great indicators of what various manufacturers are eyeing for. In the meantime, you can put on your innovative hat and let us know your thoughts on this in the comments below.